Jharkhand Staff Selection Commission Notification is out. JSSC is recruiting for 113 Staff Nurse and Other Post Posts. The newly offered JSSC Recruitment 2018 is absolutely a craving opportunity for all the eligible individuals, by which they can be a part of the Jharkhand government. 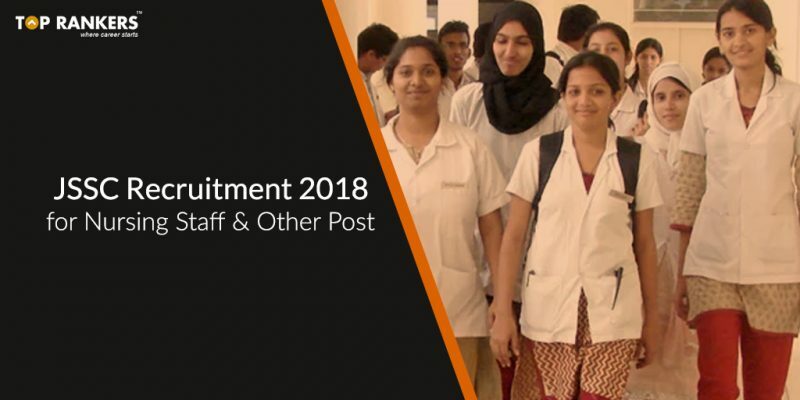 Complete Vacancy and recruitment Details about 113 Staff Nurse and Other Post vacancies in JSSC are provided below. Passed secondary, 10th grade or equivalent examination from any recognized board. Certificate/ Diploma from any Govt. recognized board. Maximum Age for UR 35 Years. Maximum Age for OBC / EBC 37 Years. Maximum Age for SC / ST 40 Years. The candidate need to go through Written Test and Interview. Aspirants will be selected based on their performance on both the rounds. Click On the Apply Online Link Given. Online Application Can be Submitted on or Before 30th August 2018. We have mentioned all the eminent information of Jharkhand Staff Selection Commission Recruitment 2018 for Assistant Professor. We are sure that you are working hard to clear the JSSC Examination, and hence, we are confident that your efforts will be rewarded. Just keep going!